There are people who have that passion in collecting plates. 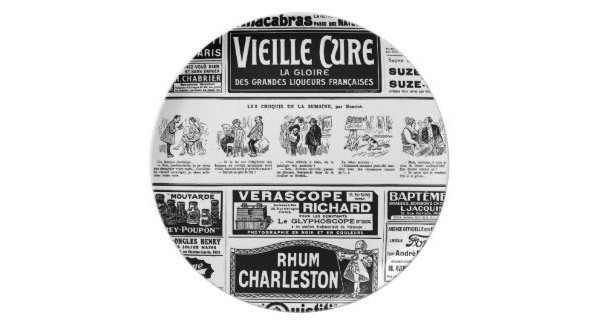 Well plates are really fun to collect especially when they have lovely and stylish designs. I have seen so many pretty plates and most of them are just displayed instead of being used during dining. But yes, there are some people who really use them for dining too. 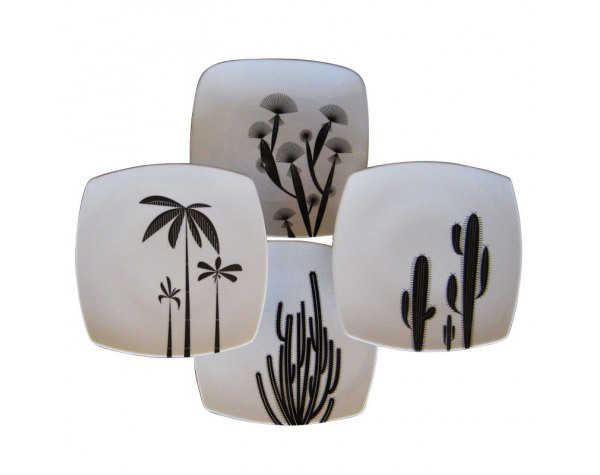 We have featured some collection of plates before but today, we will show you another set. 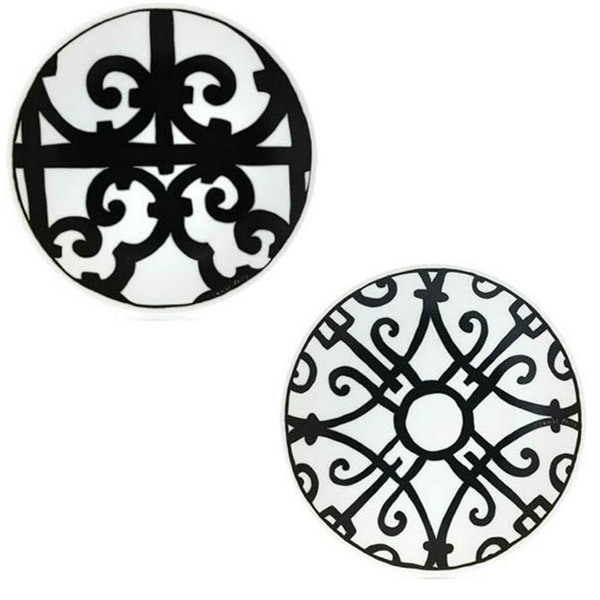 If you want to go safe with the color combinations you want, you can always go for black and white. Black and white is beautiful, fashionable and timeless in whatever way we use it. They actually give the same impact when we use them for the prints of a plate. We have collated some plates of this color and I’m sure you will love it especially for plate collectors. Let us take a look! 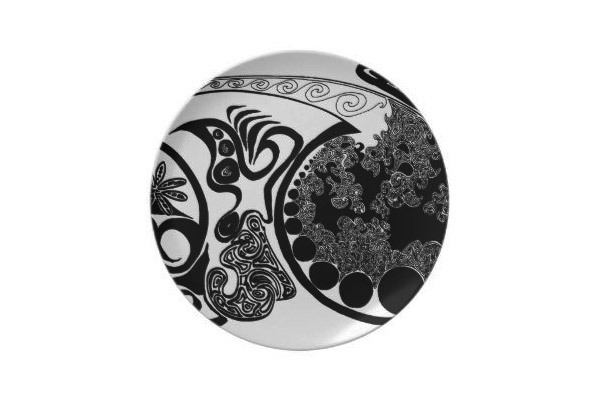 A beautiful abstract flower is printed on this white plate as if it has grown from it. 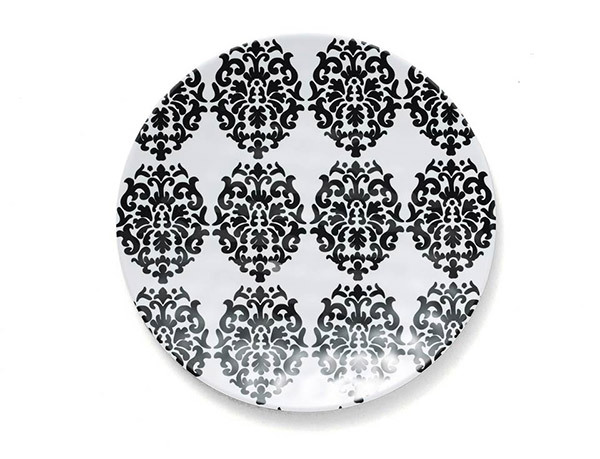 Damask prints look lovely in black and white even for this plate. 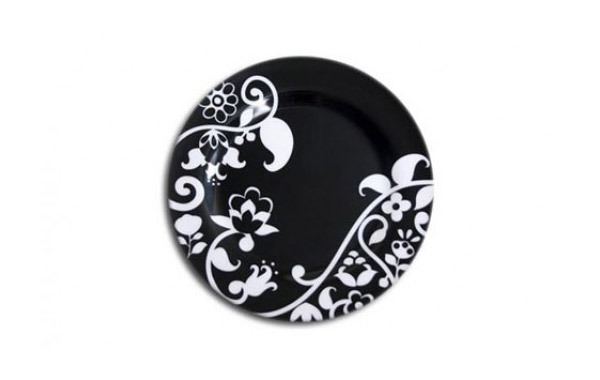 This is indeed a lovely plate where white vines adorn the edges of the black plate. 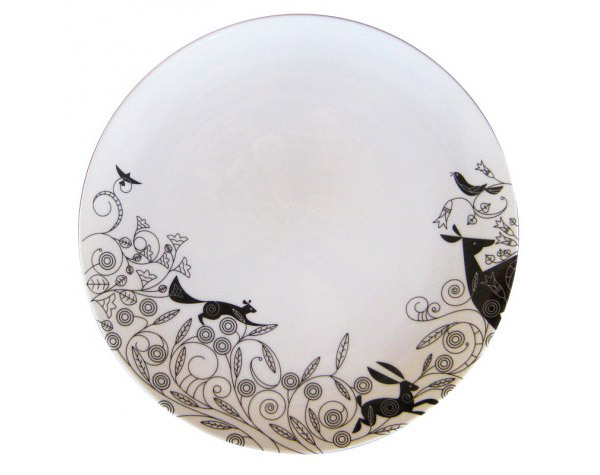 A pretty set of plates with different trees sketches on it. If you are a print journalist, then you will love to get a plate like this. 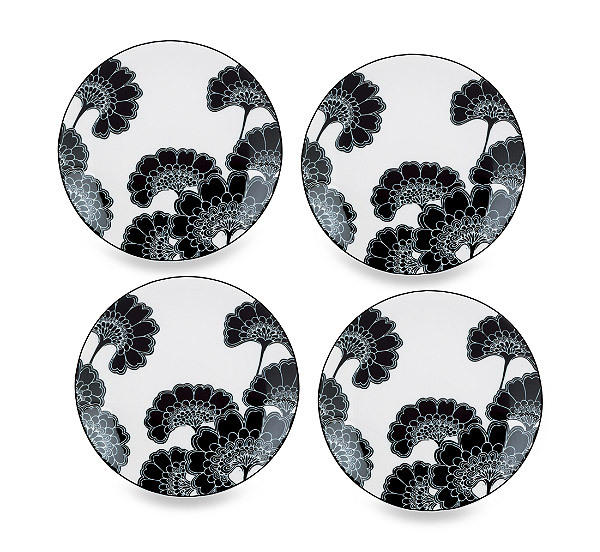 A set of four plates decorated with lovely Japanese flowers. If you have an Asian theme for your dining area, this would be good for dining or for display. When I saw this one, it reminded me of racing cars! 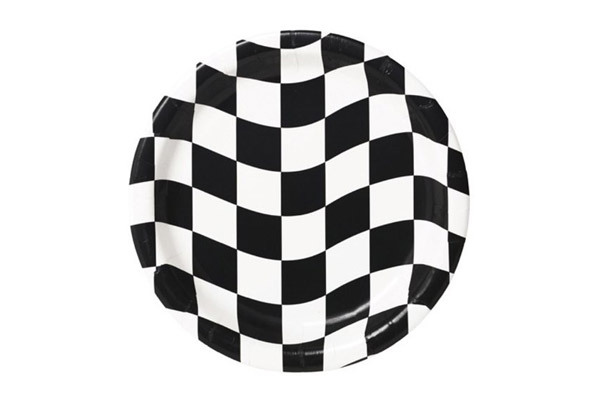 Guess this plate will be best for those who love racing cars. 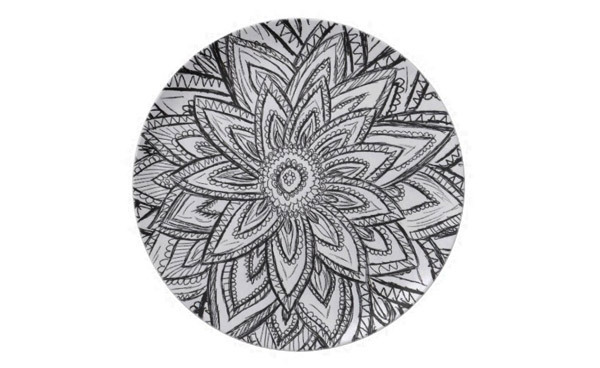 Creative combination of dots and lines to come up with this design for a plate. 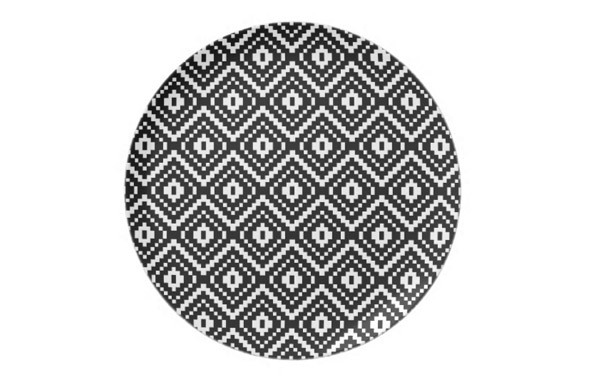 I like the design of this plate. It is very artistic creating an abstract form. This is a creative approach to a print showing the forest with the animals in it. This one looks Victorian or a bit classic too but the design would also fit for a modern style. Love hearts? 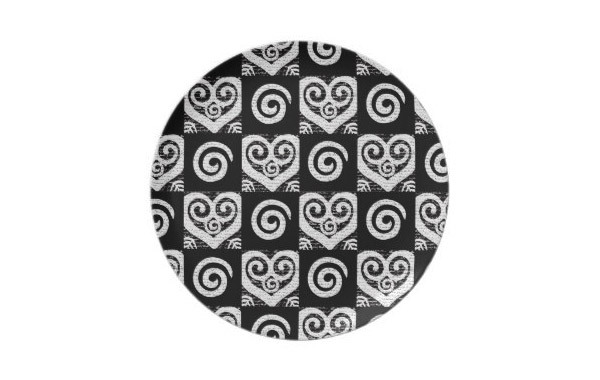 This one will suit your taste with hearts in black and white. 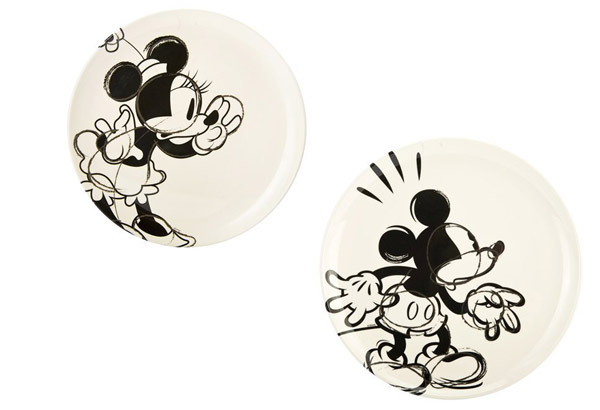 Both kids and adults love Mickey and Minnie, so this plate will be a sure hit. Love the geometry of this print as it played with lines and curves. 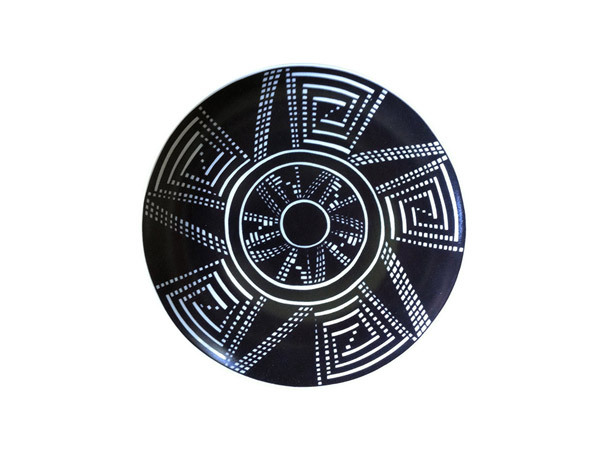 Whether Aztec is the trend or not, this plate would be a lovely addition to anyone’s collection. 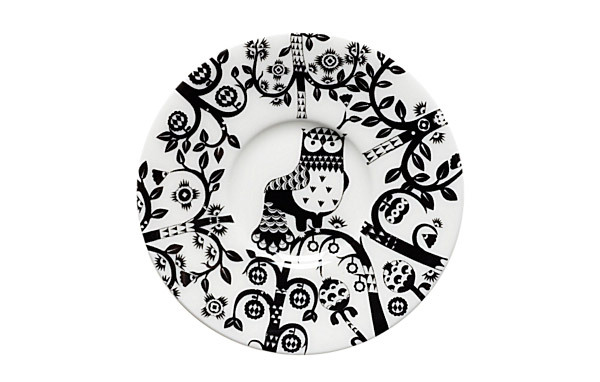 I like how this owl was framed around the florals on the edges of the plate. 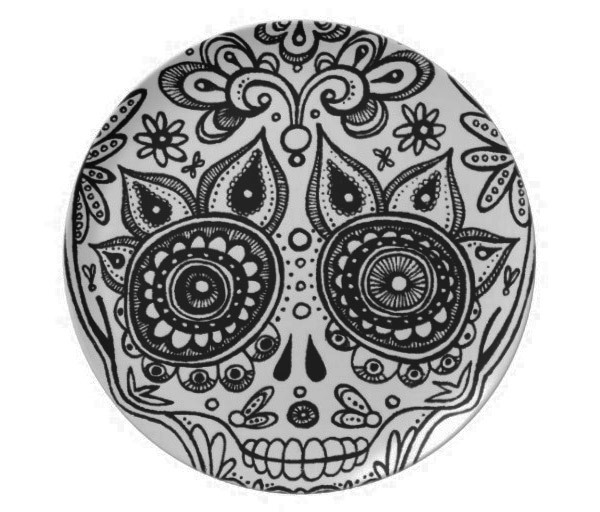 Not just for Halloween but for any day where you want to add more fun to your dining time. 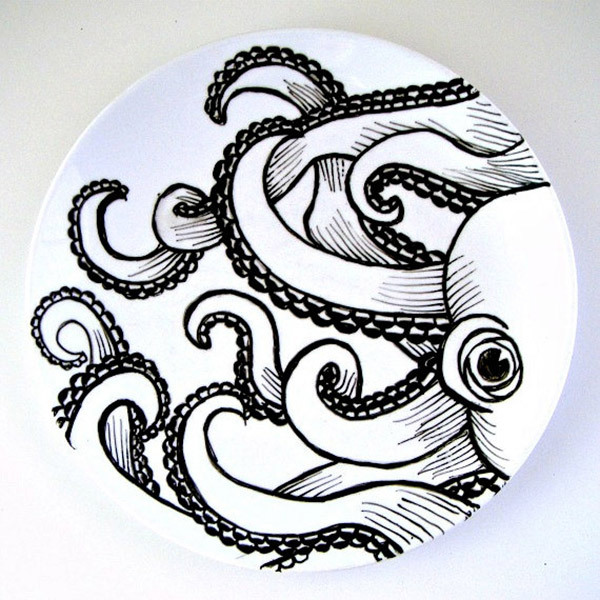 You won’t feel like eating an octopus even if you have a plate like this. 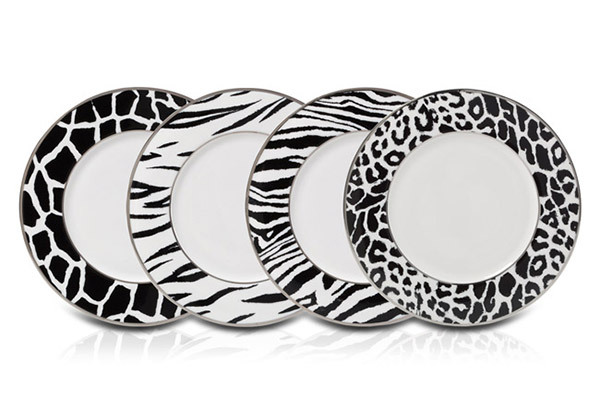 This is a cute set of black and white plates with different animal prints on it. Totally Victorian indeed with lace and ribbon combinations. Like what I said, black and white really looks good whatever is the style. You have seen that in the plate designs above which vary from simple to intricate ones. 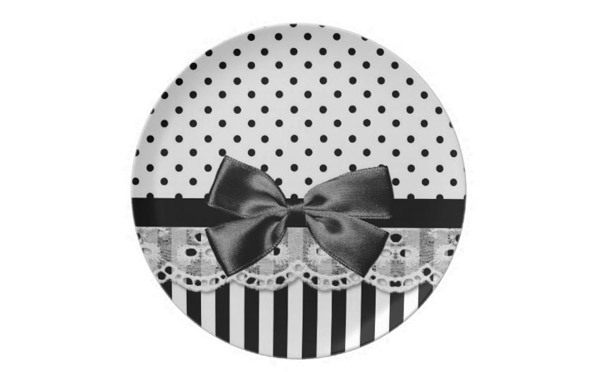 Some wouldn’t use decorative plates for the dining table. 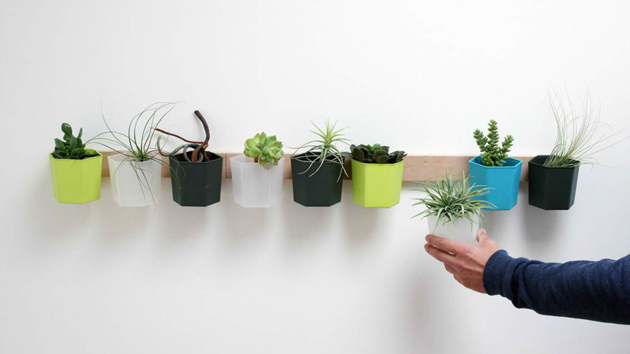 They display it on the walls or in their cabinets instead. 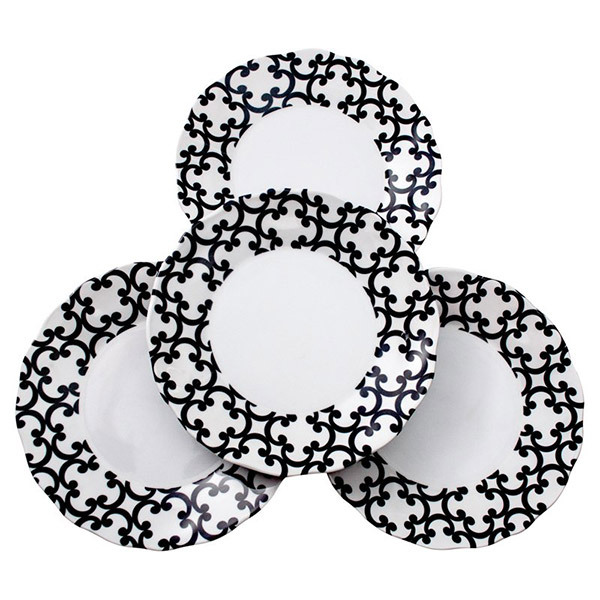 Well, we cannot blame them because these plates sure are lovely!